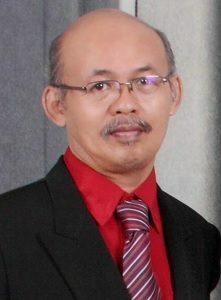 “Forgiveness is important for us all, not only for theologians, educators and students,” says Yoachim Agus Tridiatno, a PhD candidate at the Indonesian Consortium for Religious Studies (ICRS), “because we all experience injuries or mental wounds from the offenses of others.” Mr. Tridiatno found valuable time to research the concept of forgiveness and a group of collegial scholars to discuss its practice at the 2011 Institute for Advanced Study in Asian Cultures and Theologies (IASACT). IASACT gives young Asian scholars of theology and culture five weeks to dedicate to research, receive advice from mentors, and discuss ideas with their peers from other Asian countries. Mr. Tridiatno’s ideas resonated with his fellow IASACT participants. “After my presentation, all friends talked about forgiveness based on their own experiences in their own countries.” Because IASACT is a residential program, these conversations continued during break times, over meals in the canteen, or when relaxing in the dormitory. “I catch their point that forgiveness is relevant in recent days, because there is violence everywhere which needs one sort of resolution: forgiveness.” In his research, he found ways in which the concept of individual forgiveness can be expanded to address conflict and violence in societies; he sees roles for theologians and educators in helping societies better understand forgiveness and in finding ways to apply it. In addition to his PhD research in religious studies, Mr. Tridiatno teaches religion, morals, and ethics at Atma Jaya Yogyakarta University and writes and plays liturgical music. IASACT gives young scholars like him a brief respite from the demands of their busy schedules – a precious opportunity to synthesize the knowledge they have gained, the experiences they have witnessed, and their calling to share their insights with others.